With only 4 days left in New York City I still have a lot to do and see, but Im glad I feel like this so I have a reason to come back – soon! A week ago I rushed between two platforms in the subway when I all of the sudden had two familiar eyes looking at me. Didn’t have time to stop and think until the second after when we were already too far apart. It was a friend who I met 2 years ago and now apparently was in the city. It turned out we only live 2 blocks apart and last night we went out to catch up over dinner. Pastis, in trendy and busy Meatpacking District, had been recommended by a few of friends and frequently turned up in my work-research on the best NYC-restaurant so I was very excited and had high expectations. Even though we didn’t have a reservation and it was 9.30pm a saturday night we didn’t have to wait more than 30 minutes which is the good amount of time to have a (or two or three) drink in the bar! The crowd was very fashionable and big hats and skinny models were plenty. We got seated outside which was the perfect people watching spot as we were close to the Standard Hotel, Bagatelle and all the other hyped bars. 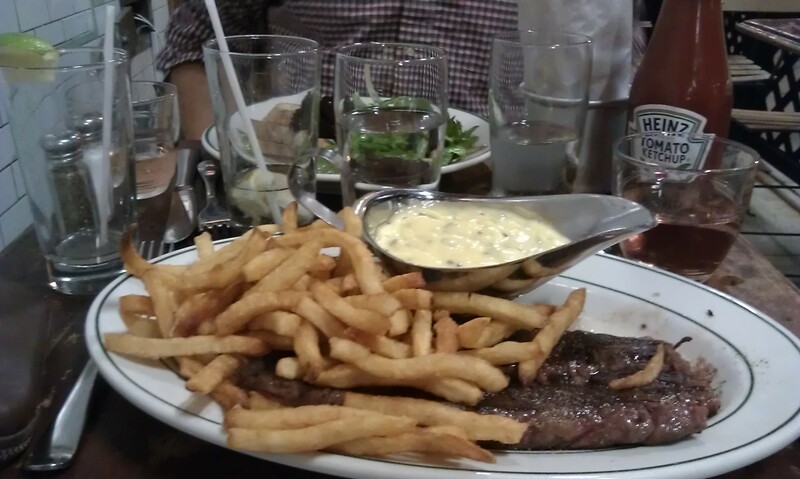 To admit I am a bit tired of burgers so a bloody Steak with Fries and proper French Bearnaise Sauce were soooo good to me! My friend had the Steak Tartar which was also extremely nice. I was not disappointed at all! Their great reputation is definitely true. 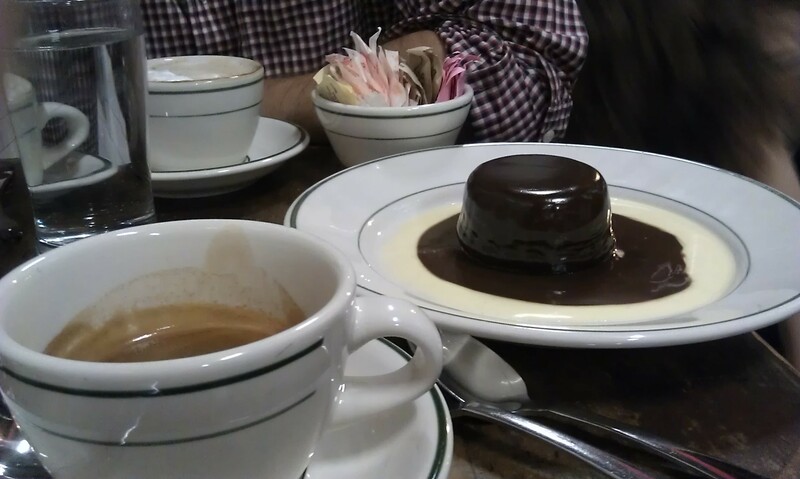 Even the Warm Chocolate Cake that somehow found place in my full stomach. Pastis is quite pricy to be Manhattan but Meatpacking District comes with these pricings. If you want to be in ‘the spot’ I guess you need to pay for it. Pastis also has Breakfast, Brunch, Lunch and late night supper (12am-3am) and next time I return I will probably just stay there the whole day and go through all the menus! LOVE, LOVE, LOVE!